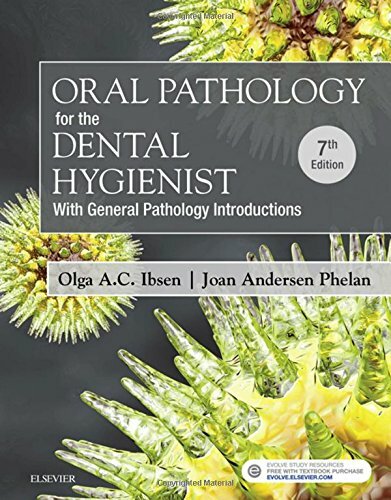 Oral Pathology for the Dental Hygienist: With General Pathology Introductions, 7th Edition, offers the most trusted general and oral pathology information that’s tailored to the specific role and responsibilities of the dental hygienist. Expert authors Ibsen and Phelan incorporate the ideal mix of clinical photographs, radiographs, and focused discussions to help you learn to properly identify, understand, evaluate, and document the appearance of normal and diseased states. Plus, robust learning features ― like case studies, synopsis tables, learning objectives, and a practice exam ― further reinforce the information you need to know to pass the national board exam and succeed as a dental hygienist. NEW! Content on dynamic topics ― including xerostomia, bisphosphonates, sprue, gluten sensitivity, and more ― summarizes the most cutting-edge, evidence-based dental practice.